Ski Holidays to Bardonecchia in Italy 2017 & 2018. Bardonecchia is an Italian ski resort close to the French border in the Susa Valley part of the Piedmont region of Italy. It is a bustling market town with good skiing opportunities and the location is well placed for easy access by car to both the Trois Vallees and the Milky Way skiing areas. Turin airport is only 90 minutes away and there is a major train link right into the resort. This resort has maintained its character and the mountains provide a very scenic setting which adds to the appeal. Easy access can sometimes mean that it is very busy, especially with weekend skiers. This tends to be what characterises the resort – a very quiet mid week becoming full to bursting point with visitors at the weekends. One of the reasons for its popularity is the access it provides to top class skiing. It has some 140km of piste which is spread across 3 areas, albeit two of these are linked by lifts. The three areas are Campo Smith, Melezet and Jafferau. Campo Smith is the main one and can be quite busy. It is linked to Melezet which together provides the best of the slopes for beginners. The skiing here is varied with wide easy trails to narrow wooded runs. Jafferau, offers the most challenging skiing, with the highest skiable point at 2,750m and areas of moguls and off piste terrain. It is a 5 minute bus ride away from the other areas. On the down side, the lifts are generally only accessible by shuttle bus, but are usually queue free and there around 20 them. The resort is best for intermediates and is generally not very user friendly for beginners, so it is perhaps not the perfect location for first timers and less experienced younger families. Added to which, the snow conditions cannot always be relied up on, despite north facing slopes. It is worth bearing in mind that the lifts can sometimes be described as unpredictable too. That said, the quiet mid week period gives it great appeal for intermediate skiers. Bardonecchia has hosted a number of world class ski events and hence can offer the terrain and facilities to meet this high standard. Some of its intermediate runs were used during the 2006 Winter Olympics for events such as the snow boarding giant slalom. Nevertheless opportunities for off piste and advanced skiers are generally quite limited. Although the terrain is suitable for boarders, the access is mostly by drag lift which boarders sometimes find difficult. There is however an Olympic snow park that has 12 jumps, rails and two border cross courses. 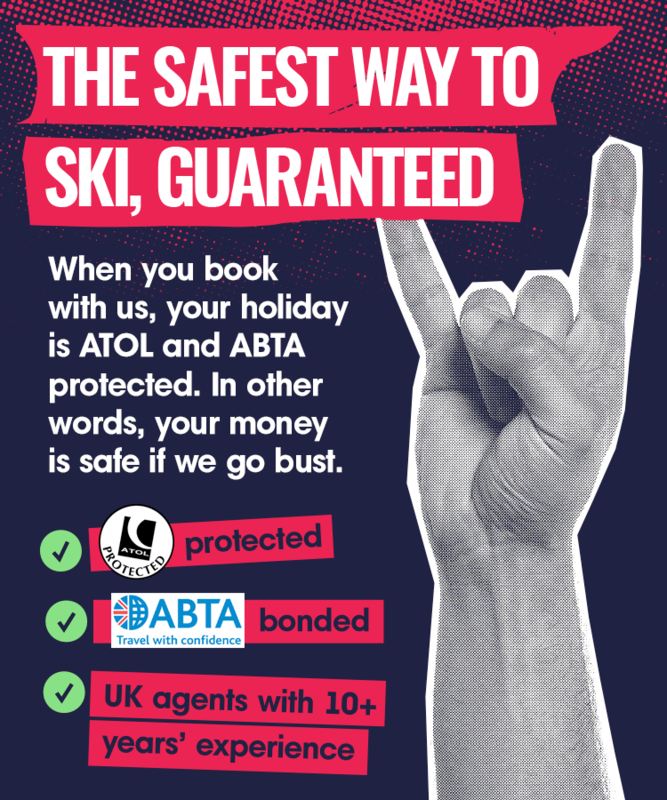 If you are looking to expand your skills there are 4 ski / boarder schools with over 250 instructors offering tuition at all levels. Being relatively low at 1300m, the season is fairly short, starting in mid December and running through until the end of March. The lifts do provide access up to 2000m giving it generally adequate snow cover during the season. If you do go as a family, there are creche facilities and a ski school available for all ages starting from five years old upwards. Accommodation is varied, it ranges from small family run places to self catering apartments and top class hotels, so there is something to suit everyone and every pocket. Being one of the busier ski resorts, it offers a good variety of shops, including fashion and jewellery outlets and there is plenty of choice in regards to restaurants and bars, all of whom serve a good selection of cuisine. Nightlife is similarly variable, you can find very lively or very relaxed entertainment here, something for everyone! The busy weekends are undoubtedly the liveliest times in resort. Easy access to Turin means this is a possible day trip for those looking for a break from the slopes or non-skiers. Activities include a cultural centre with a theatre, cinema, an ice rink, an indoor swimming pool, a bowling alley and a gymnasium. Alternative snow base recreation includes tobogganing, snow tubing, snow cat safaris, mountaineering and night skiing. Some visitors take the chair lift for a mountainside meal and follow that with a torch-lit descent down the mountain either on skis, snow board or toboggan; for the less adventurous simply walking back down or hitching a ride on a snow cat is an option. Tourism is a key source of income for the locals and much effort is put into making this a lively resort with an ongoing programme of festivals and other activities highlighting local culture, cuisine and folk lore.